On January 3, 2016, five suspended students packed their bags and walked out of their hostel in the University of Hyderabad campus. One of them was Rohith Vemula, another was Vijay Kumar Pedapudi. 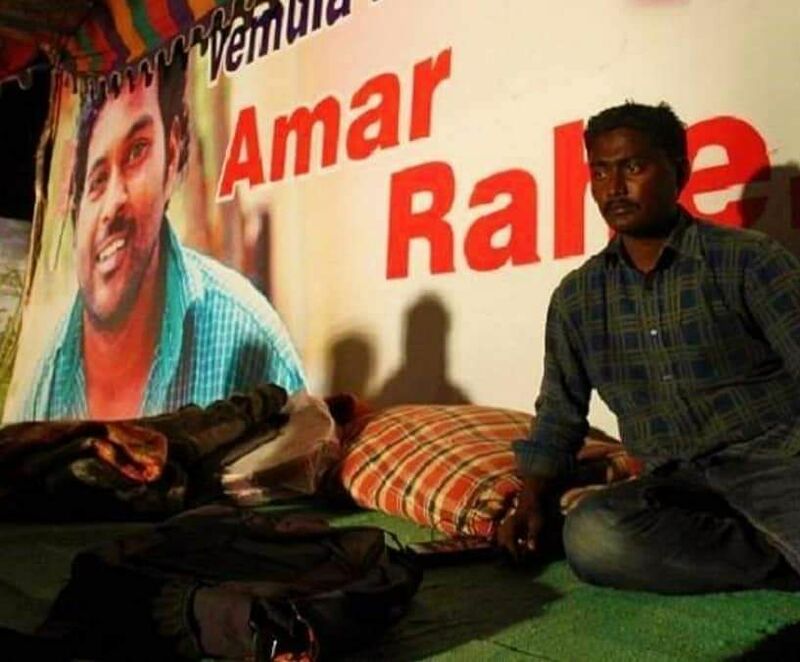 Ever since Vemula's suicide, Vijay has stood on the "other" side of the barricades, shouted slogans over police sirens, challenged the administration, led marches and protests in Vemula's honour and has fought for the rights of the marginalised. Today, he prepares to make that very voice resonate in the assembly because he believes that social movements are not what they used to be. Today, change is only possible when you have a seat at the altar. 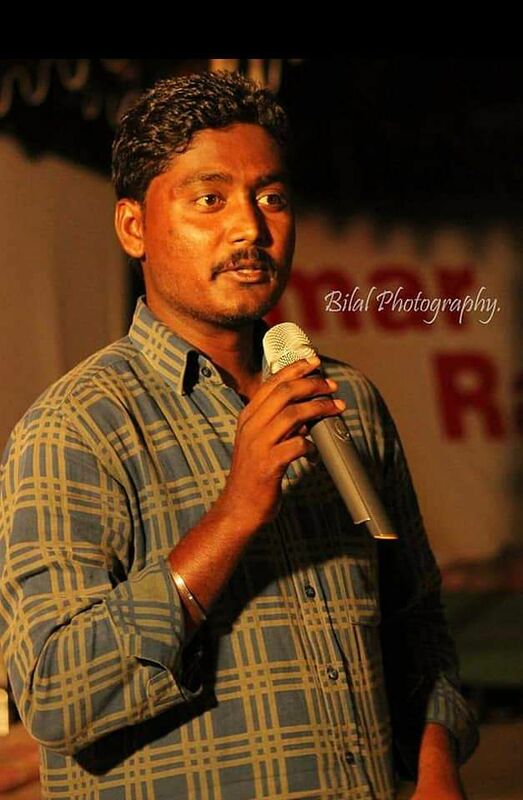 Vijay is among the several young student leaders who are standing for the elections this year. 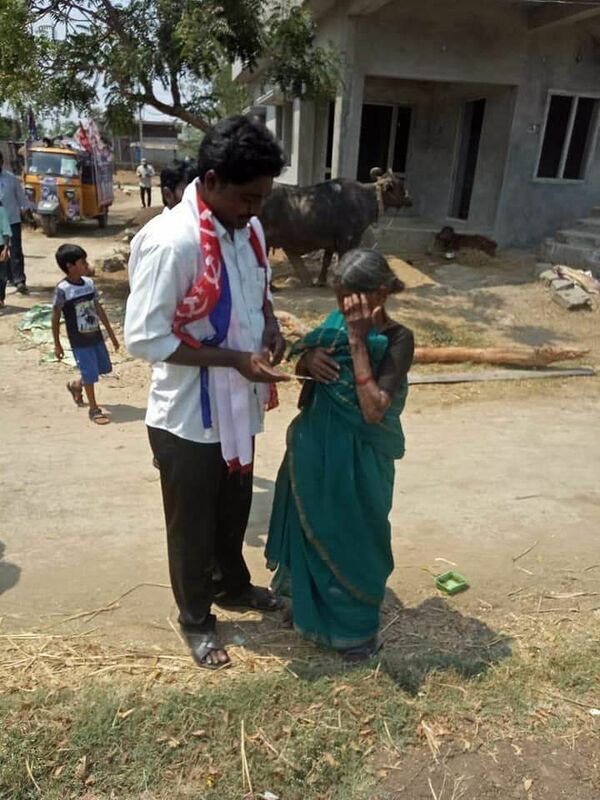 He is the Bahujan Samajwadi Party's candidate for Parchur constituency in Andhra Pradesh. The day that he received his party ticket, Vijay checked his account balance, he had three rupees. Ex-JNU President, Kanhaiya Kumar, was able to raise Rs 32 lakh rupees in 24 hours for his campaign and he managed to reach his target amount of Rs 70 lakh not too long after. It has been four days since Vijay launched his crowdfunding page, and so far he's managed about two lakh. Vijay is a Dalit student from Ongole, Andhra Pradesh and was born to parents who are daily wage earners. He has a Masters in Political Science, an MPhil and is currently a PhD student at the University of Hyderabad. Vijay always aspired to be an IAS officer but the Vemula movement changed the course of his life. Besides the events that led to the movement and the movement itself, Vijay said it was his professors in University who encouraged him to take the political lane. "My professors were of great support to me, coming to UoH was itself a big deal and then I met these professors who were giving me so much encouragement. 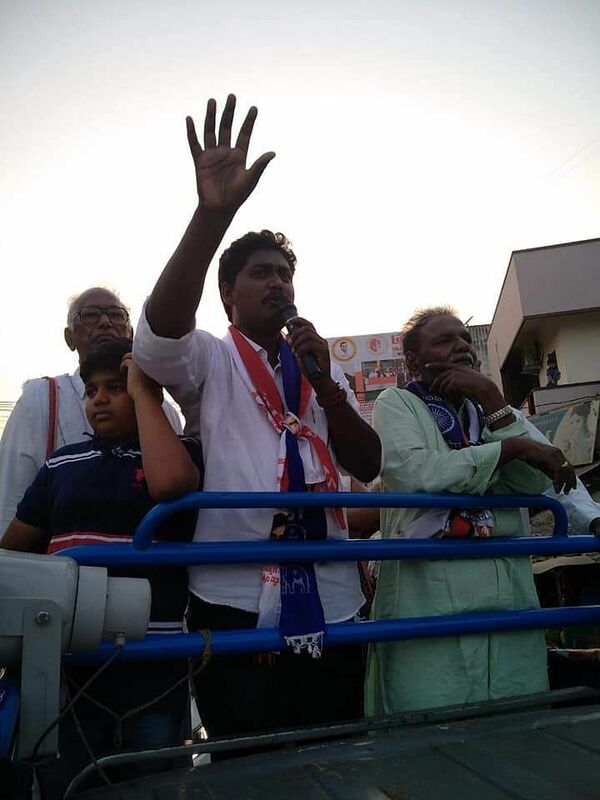 They spoke to me about the importance of having more Dalit voices in politics," he said. There's one professor particularly who helped him a lot and he asks me specifically to mention his name in my copy, so here goes — Prof Sripathi Ramadu from the the CSSEIP at UoH. "Always a distinction student," Ramadu said beaming while talking about the young candidate. But he is quick to dismiss the appreciation that Vijay has heaped on him. "I did nothing at all," he said laughing. 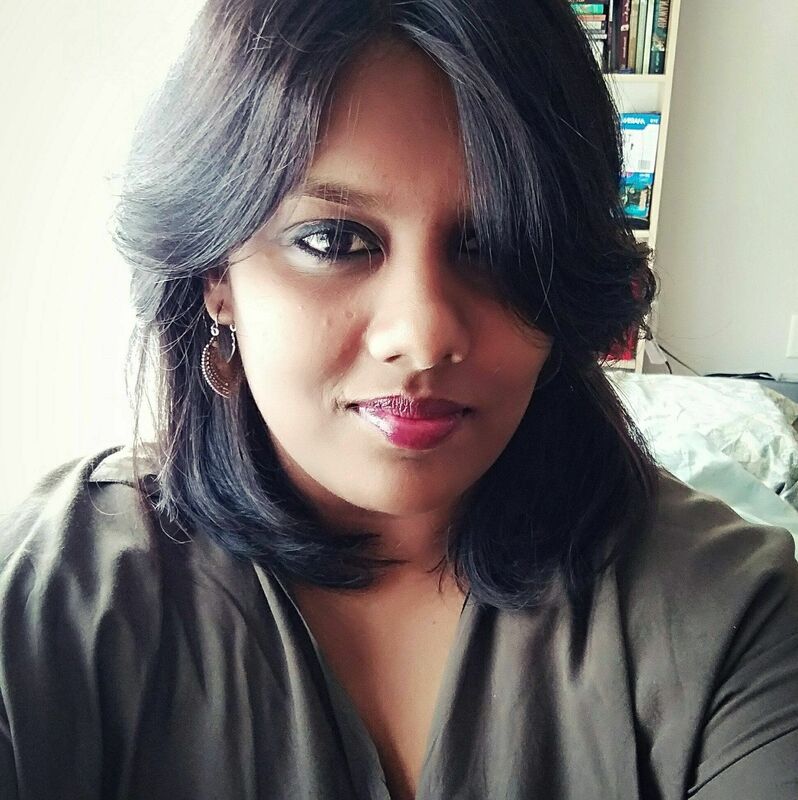 "But I believe that we do need more representation of Dalits in mainstream politics. That is what Ambedkar said, he said it was important that Dalits have representation in our legislature." "In fact the crux of Ambedkarism revolves around the political representation and political power for dalits. Most of the dalit movements were not able to achieve the suitable results for they command very little or no support in the legislative bodies. Given this limitation of any social movement we need to chose political process. Therefore more honest persons like Vijay Kumar joning politics is a welcome step," he added. The Vemula movement was nationwide and it revolutionised and revived the student political movement. Much before JNU's sedition row, students from Uoh - particularly from the Ambedkar Student Association - were fighting oppression on campus. Rohith Vemula along with his friends, like Vijay, were the first to light the flame that would soon engulf the country. It is one of the main reasons why student leaders started to become front page news. But voices in the city of Hyderabad were quickly drowned out by the sloganeering in Delhi. "It was such a massive movement and it was in every newspaper. Yet, we couldn't do anything. The State was simply too powerful for us, we were not able to sustain the movement. Our movement did not resonate with the political bodies in the country," he said. Unlike in the 70s or 80s, when acts like the SC/ST Atrocities Act was passed, today, social movements don't work, Vijay said. "Social movements are essential they are not enough. Not enough for us to achieve our goals. This is why I decided in 2016, that I would contest the elections and get into mainstream politics," the candidate said. Mainstream parties demand 10 to 20 crores to give a candidate a seat, Vijay says. So from the very beginning, his has been a political struggle. Since the elections dates were announced quite late, Vijay said he did not have any time to raise any proper funds or create a proper campaign plan. "We've been working under pressure and we obviously have a lot of financial constraints but we are managing anyway. The goo thing is we have a lot of support from our well wishers," he said. "We don't have the money to hire people to stand in our rallies like most parties too. So the people who are coming out to support me are coming of their own will," he said. 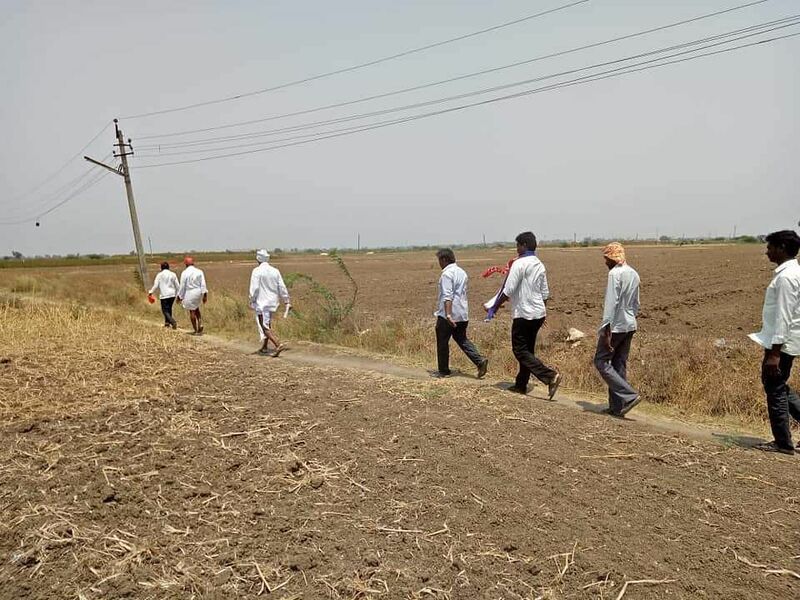 Parchur, where Vijay is contesting from is an agricultural area, so the first thing on his agenda is to come up with a constructive plan to increase irrigation and provide people with the basic needs that they continue to lack. "I go campaigning at 6 am every morning because they leave at 7 for farming and I come back late in the night after speaking to them when they return," he said. No matter what anyone says, politics is an expensive affair, so Ramadu had asked Vijay how he was going to manage the campaign, "He told me that he would try to practice a new kind of politics. Politics without money," Ramadu said. Choosing to stand from a general seat constituency means that Vijay will be up against two giants. Both candidates have strong links to the political class in AP and run mighty highly successful businesses. "And here's our boy with zero assets, he doesn't even have a bike, he has no proper house either and he's decided to challenge these giants," Ramadu said. Even though this would worry his well-wishers, Ramadu says that for Vijay, winning or losing is secondary, what he wants to do is fight. The chance to fight for his people, his community. 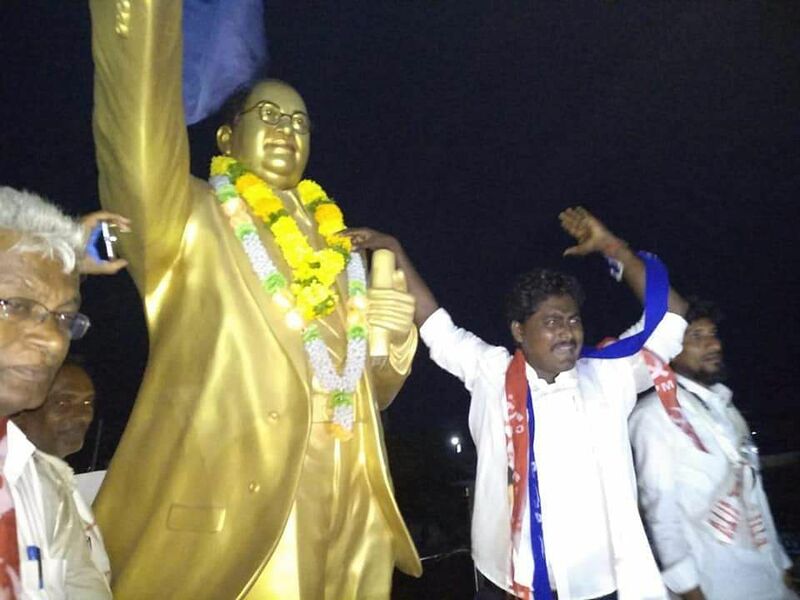 "He took the decision to contest from a general seat constituency because he wants to demystify the perception that dalits should confine only to reserved constituencies," Ramadu said. Speaking about the state of affairs in politics today, Ramadu said that the political aspirations of the poor and the middle classes seemed to be accommodated by the new alliance politics in AP. But at the end of the day, Vijay is one man. "I asked him if a single person was enough to bring about such massive change. But he said, "let me at least take the first step" and I thought that it was a lovely thing for him to say," Ramadu said. If he were to lose these elections, I ask him if would he give up on politics? "No, I would stay right here. In this constituency. Because that is when the people here will need me the most because their lives would not be in capable hands. So I will remain here and support the people," he said. He adds that he's mentally very strong, so come what may, he will continue to enjoy the process of campaigning, "Its like a sport, I will try to do my very best," he said. If the Rohith Vemula incident had never happened, I asked Vijay if he thinks he would have ever stood for elections. "Probably not. I think I would have pursued my IAS dreams and become an officer," he said. But what if the incident hadn't happened and Vijay had still chosen to contest the polls? "Then Rohith would have stood here, right next to me. He would have stood here and campaigned for me," Vijay said, smiling.